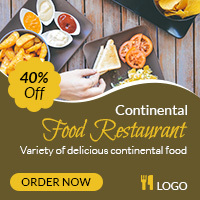 Food Restaurant Banner template is designed for hotels, restaurants, cafes etc. 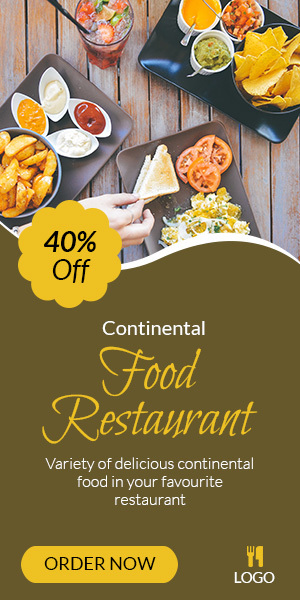 that deliver food or provide dining services. 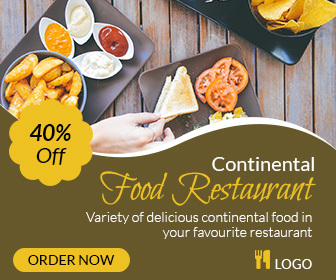 You can attract customers by giving attractive discount on online ordering through this banner. People now-a-days generally surf internet for better deals and offers, so this banner will help you to get customers across the city or town.